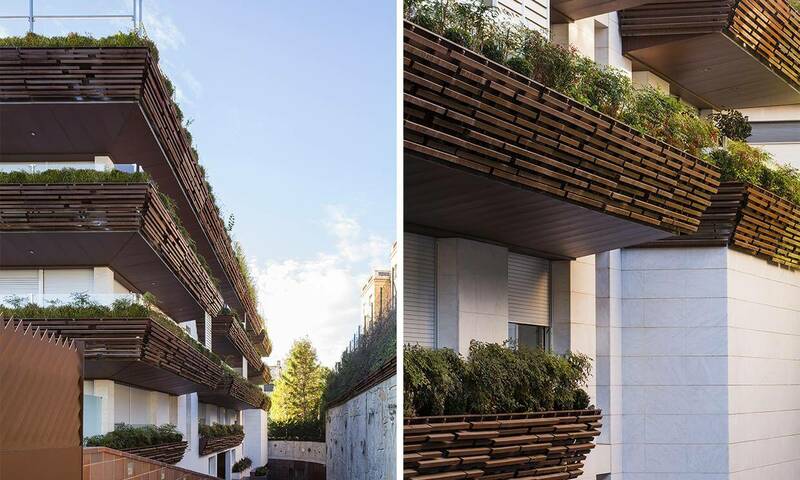 Ribas & Ribas designed a free-standing rectangular apartment block which follows the perimeter of the site in an uncongested area of Sarrià, where parks and gardens are still easy to find. 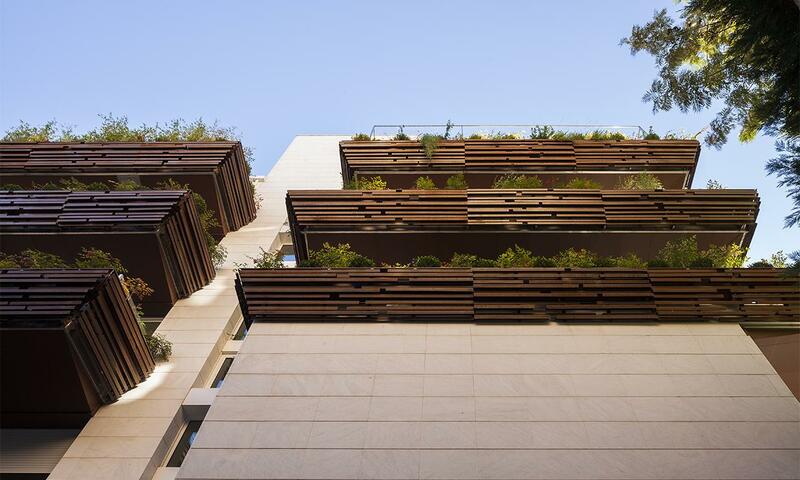 The architects’ main goal was to construct a building for 19 apartments which would maximize the use of the floor space and define a volume integrated with its surroundings. 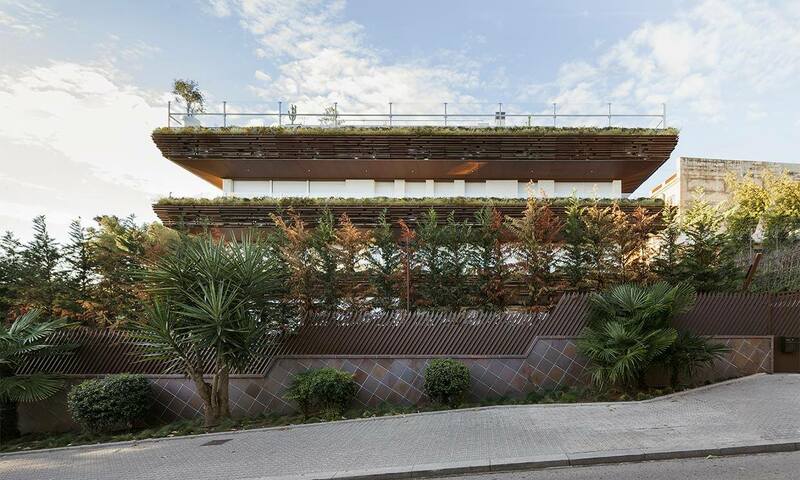 The final result is a seven storey block, four above grade and three below, characterized by an image of lightness projected by the lines of the façade and the top floor attic set back from this frontage. Notable aspects of the ground floor units are given include a mezzanine basement area for storage, wine cellars, games rooms, etc. The building has 6,018.18 m² of floor space, 3,696.14 m² of which are below grade. 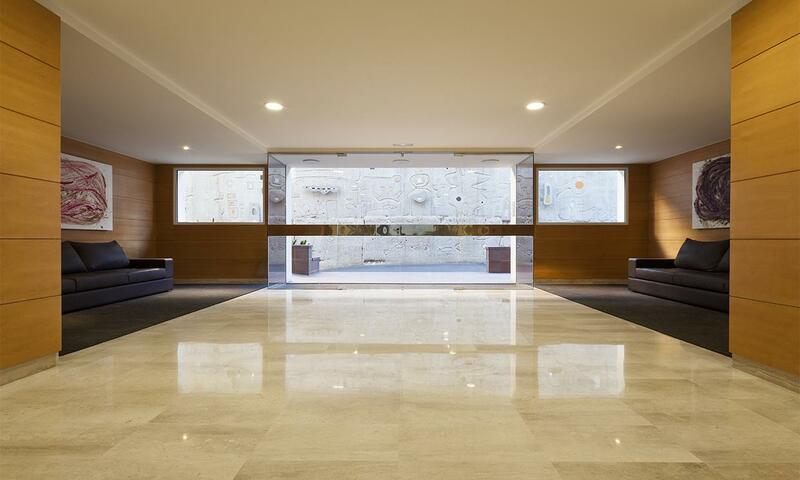 The parking area occupies two basements and a mezzanine basement, which also contains the entrance lobby, lifts and two staircases. 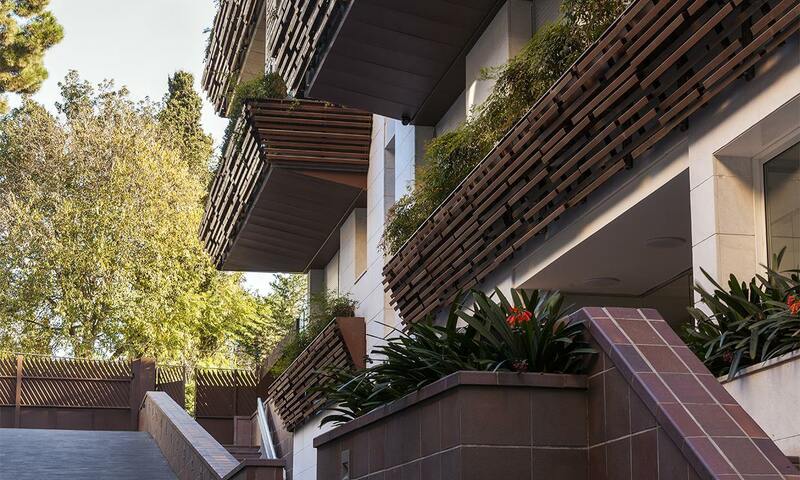 From the first floor upwards, the units are distributed around a central courtyard, with the corner areas used for living and dining spaces, and bedrooms and wet areas in the interior zones. 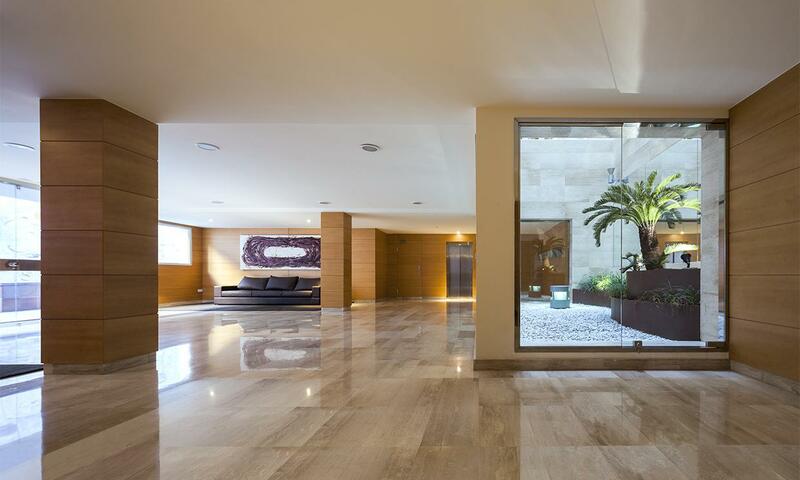 The façade is covered with white travertine cut against the grain. 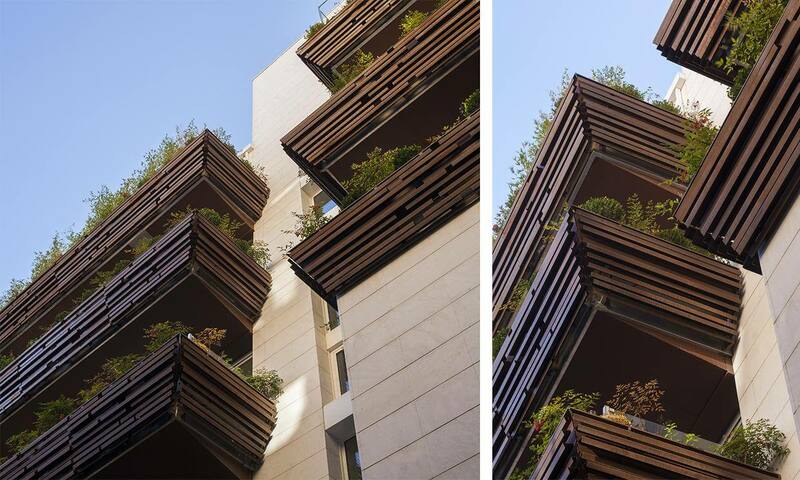 The feature that visually unifies the apartments and accentuates the building’s horizontality are the outer balconies with their sliding windows, enamelled aluminium frames and integrated flower planters resolved in Corten steel.